The 10 apartments that we visit today are different yet all sophisticated, stylish, modern and ultimately attractive. Proving that you don’t need a spacious home to create something relaxing, cosy and inviting. There are many ways to add some chic style to your home, from brilliant illumination, sensational colours and chic style and this feature aims to showcase the most amazing homes with tips and tricks from interior designers and experts. So what are you waiting for? Time to be inspired! 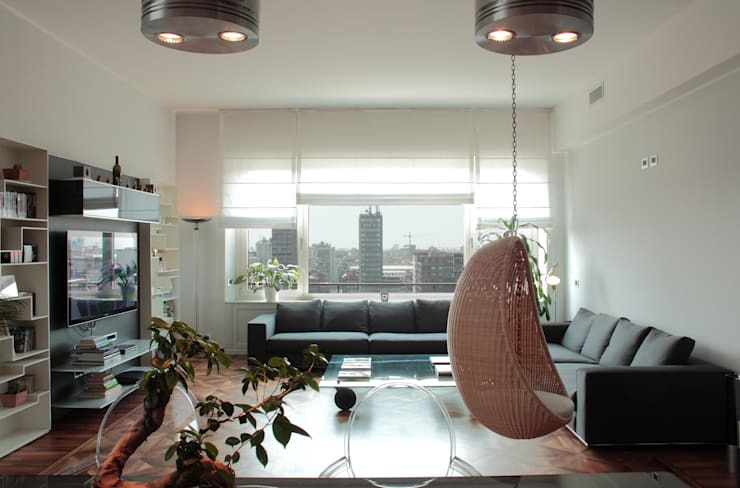 The apartment here displays simplicity while maximising elegant furnishings. 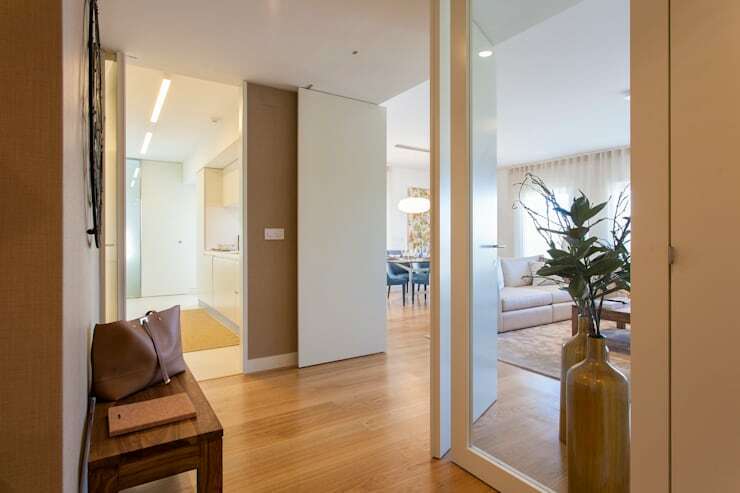 The sliding doors allow the room to be expanded as and when necessary, while the partitions enhance privacy to limit movement between the rooms too. The contemporary décor of this modern home is balanced and attractive, while the geometric prints, comfortable furniture and sleek neutral colour scheme adds to the practicality of this bright living space. 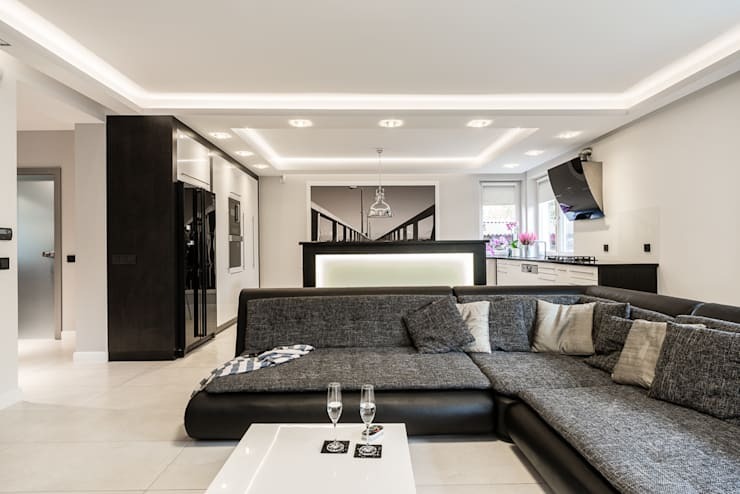 The living room featured here has a modern, minimalist design with black and white being the core colour focus throughout the space. The room is excellently decorated in a trendy and tasteful manner. The modern apartment featured here has a vintage element that is merged with contemporary elements for an ultra-modern décor. 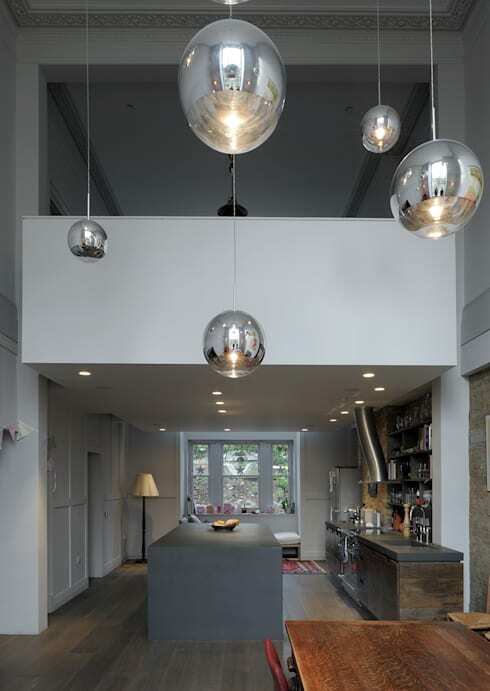 The illumination of the space is something to consider recreating. 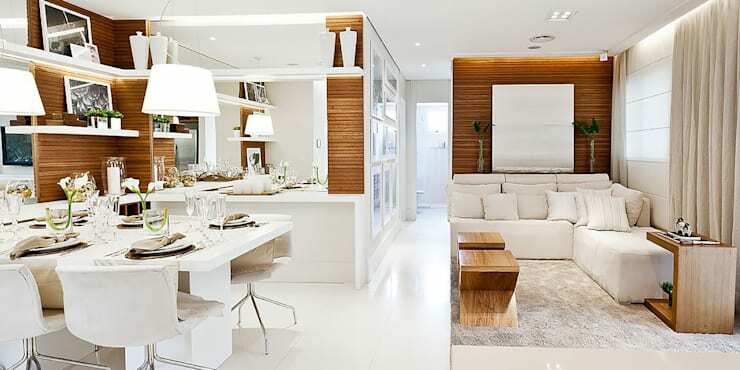 There is something so attractive and sleek in the detail of this open plan white and wood apartment. It’s the perfect combination of modernity and classic style, making this home a striking and stunning space. 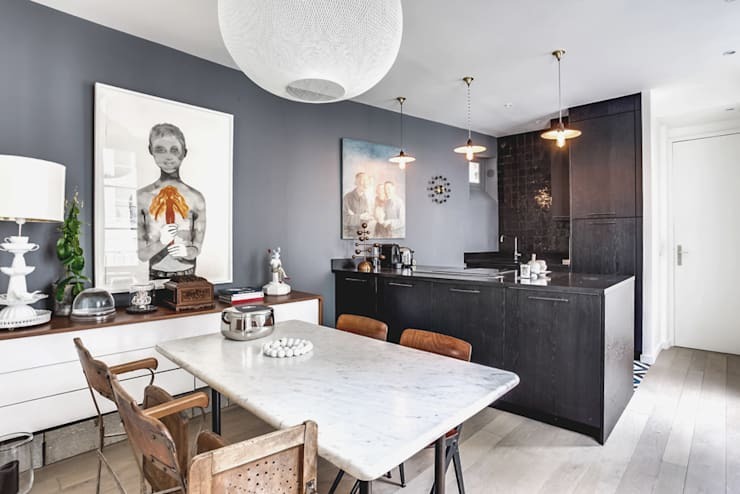 This apartment includes everything stylish and organic, from the classic dark leather sofas to the stunning glass coffee table and even a beautiful parquet floor. How’s that for comfortable and trendy style? The colours of this apartment may be simple, neutral and classic, but there’s nothing like some chic, eclectic elements to make it a unique, quirky and charming space. 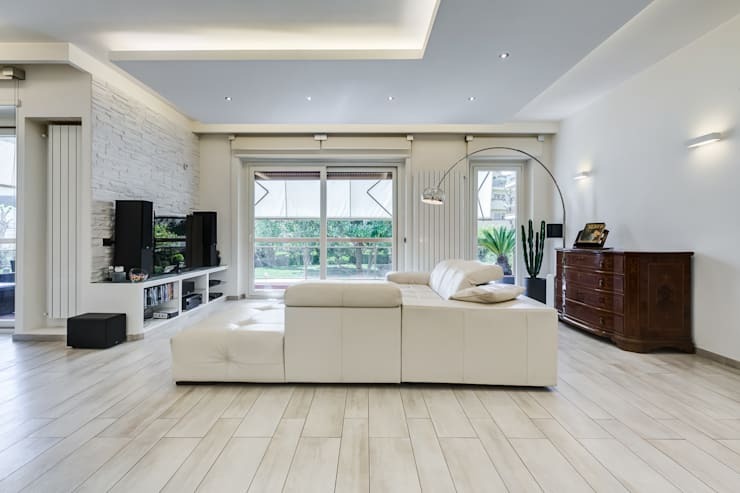 The addition of white wooden flooring, white leather sofas and white walls may at times look stark as décor, but there’s something so warm and inviting about this apartment that you’ll think the colour scheme is so neutral and elegant instead. 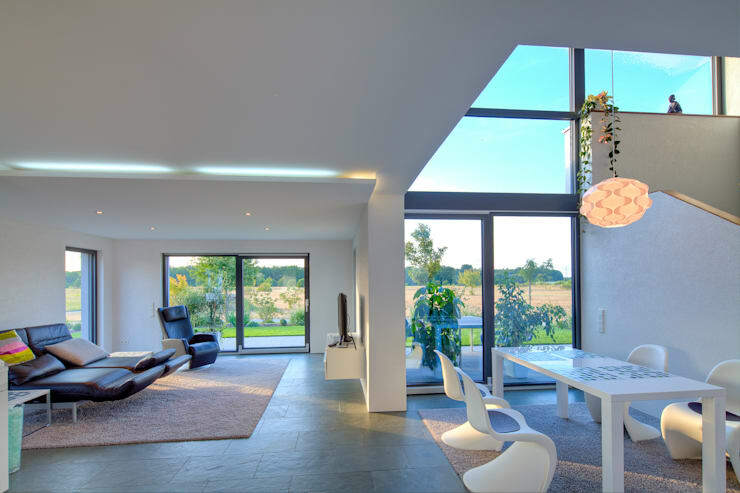 Minimalism and clean lines are the main features of this modern home, however the gorgeous sunshine that enters through the large windows adds an element of warmth and simplicity too. 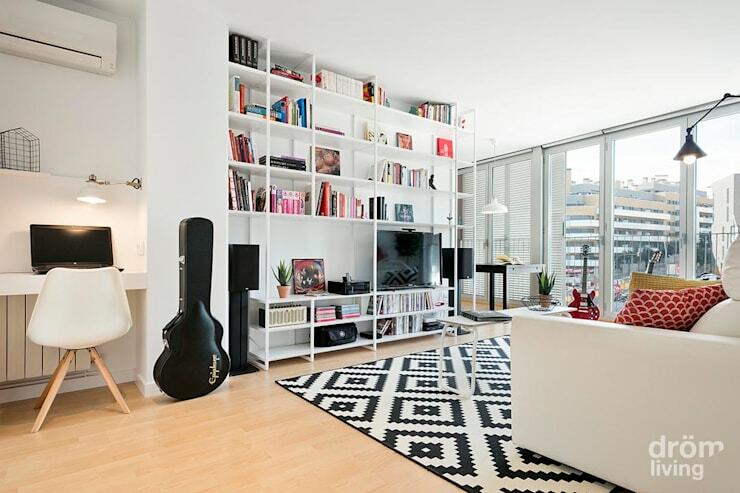 Which modern apartment do you like the most?